March to November – Mon. & Fri.
Departure for Avignon, the city of the popes. 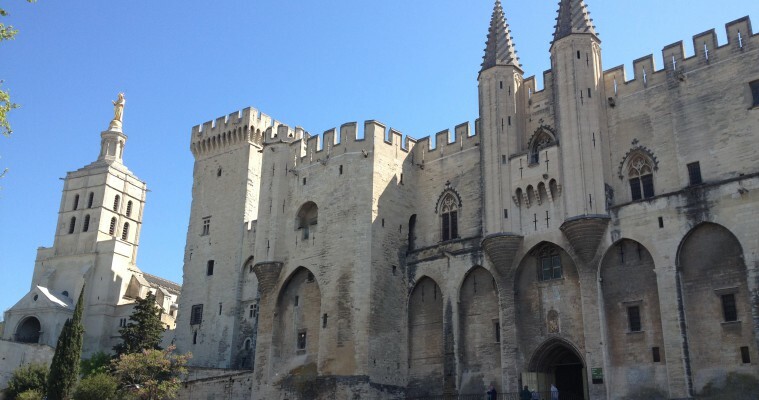 Enjoy a walking guided tour of Avignon and the historic centre with your guide to discover the palace of the popes, Saint Benezet Bridge, Notre Dame des Dom’s cathedral, Dom’s gardens, Saint Pierre church and the Clock square. You will then drive to the hilltop villages of Luberon and first stop in Fontaine de Vaucluse, famous for its mythic spring and paper mill where you will learn everything about the paper making process. 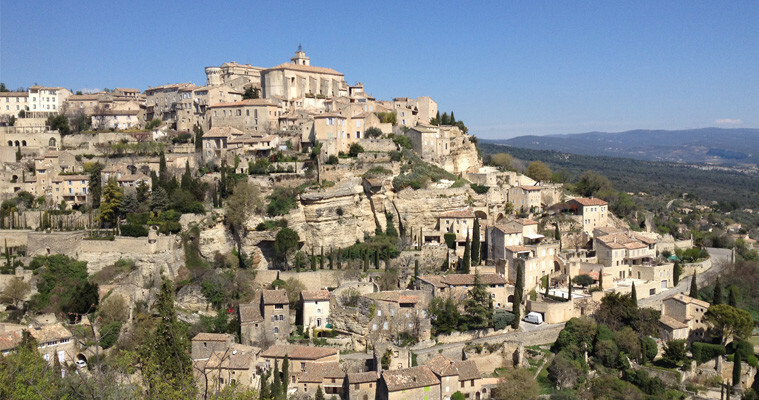 You will reach Gordes, classified as one of the most beautiful village of France. Lunch and free time to explore the village, church or Renaissance castle. Next stop for a photo session in the Cistercian Senanque abbey built among lavender fields. 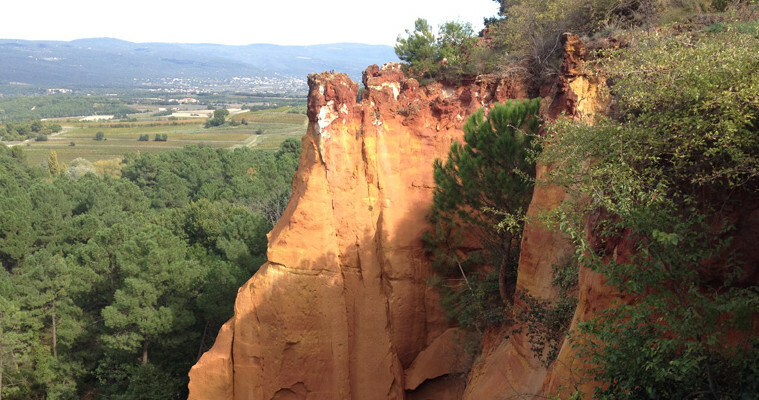 You will finally drive to Roussillon, a village perched atop an ochre rock formation called the “Provencal Colorado”. Time to stroll down the village or walk along the “ochre trail” for 30min (entrance ticket not included). Visit Lourmarin an artist’s village, set in the midst of olive and almond trees, which has attracted Henri Bosco and Albert Camus. You will have free time in this charming Provencal village to visit its ancient castle and its narrow streets. The village was source of inspiration of Peter Mayle for “A year in Provence”.